The online hosiery market is quite crowded and competitive now. But it’s really inspiring to see new entrepreneurs with drive, passion, commitment and creativity having the courage to start something new. We recently spoke too Christine Nicholson who has just launched Divine Legs, and now publish our interview for Hosiery For Men readers. Can you provide Hosiery For Men readers with some background to Divine Legs? Why did you start the business? The company was founded when I realised that my own hosiery buying habits drove me to constant compromise – never enough time to test products, always buying on impulse and never really understanding what different products did. As a result I always seems to have tights or stockings that didn’t fit or, after one wash, lost all their shape and made my legs look 80 years old. Even online the choices run into thousands, and hours can be spent procrastinating over which product fits your needs. Anyone who buys hosiery will no doubt have had the “too much choice” experience (I can see this is more of a challenge for men) – going into any department store and facing the multitude of choice not just of denier, colour and size (which has always been a mystery to me as small never stays up and larger sizes leave me looking like Nora Batty after one wash!) but the many price points. Can there really be that much difference between a £1 pair of tights and a £30 pair? (the answer is a definite yes! by the way). Talking to other savvy women made me realise that I wasn’t alone. That’s when the idea for how buying hosiery could be made easier, simple and hassle free – taking the legwork out of buying tights and stockings! 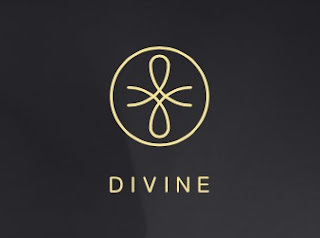 The Divine Legs concept means never worrying about getting the perfect fitting hosiery again. No more mad dash to the shops at the weekend when you could be spending that valuable time on the things you enjoy or with the people you love! In a crowded online hosiery retailing market what is unique about Divine Legs? The small but carefully curated collection that Divine Legs currently offers is tried and tested to ensure that they offer a perfect fit for every size and shape of wearer. The collection is offered in a subscription box so when you find your perfect pair you can have it delivered monthly (or less frequently if you require), on a no commitment basis (we don’t like subscription models that tie you in or make it difficult for you to cancel) PLUS we have a 100% money back guarantee. Delivery monthly (or less frequenty if you chose) and you can buy monthly (no contract or commitment) or buy a 3/6/12 monthly supply in advance or as a gift for your loved one. You can of course buy single products without subscription – the big benefit of the subscription box is it is available on a free shipping basis, offering better value. Can you tell us what hosiery brands you stock? To start it will only be two brands ITEM m6 (Beauty Tights and Easy Line) and Charnos Seamless, with very specific offering to test the subscription concept – it’s not been done before in the UK but is becoming very popular in the USA. The shaving essentials market is covered for both men and women – I think I can bring some of that to the UK hosiery market. We will be “stocking” a very special beauty product (anti-cellulite beauty tights – they are a secret weapon against the appearance of cellulite) as well as a new range of completely seamless tights that are super comfortable! My model was wearing all of them for a photo-shoot and didn’t want to give them back for me to wash test them!!! 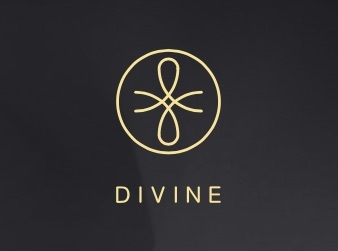 What kind of service will male customers receive at Divine Legs? Do you welcome enquiries and requests for advice? I’m an equal opportunities retailer – men are as welcome as women and some of my products are quite well suited to the larger frames of men – though as yet none of them are adapted for the unique physiological differences between men and women. I’d be very happy to have them tested though. The Beauty tights would be great for those men looking for a smooth silhouette – even though men are lucky enough to not really suffer from cellulite! I have a special place in my heart for men wearing hosiery – I was in the Royal Navy in my 20’s and remember fondly the fact that guys on night watch and on exercise (in cold weather) would wear ladies tights under their uniforms to keep extra warmth in. A little bird (well quite a big one really) also shared with me that the SAS/SBS guys do this too!! Personally I think everyone should wear what they want to wear – as long as it’s their choice. I know there is a lot of publicity around school uniforms and boys being allowed to wear skirts etc. I was bought up in Scotland for much of my childhood – men in skirts is nothing new! In fact in the Navy it always amazed me how a ship could deploy to sea for months and when it came to celebrating a crossing the line ceremony (google it! ), an amazing amount of women’s apparel appeared! Women love wearing trousers, why shouldn’t men love wearing hosiery. I hear that some men find it hard to go into stores to buy hosiery and frankly in this day and age I think that’s sad. We are all just human beings and should spend more time celebrating that instead of judging each other. Have to say never really thought about it too much but there is definitely a warmth benefit in the winter! Depends what they want to get out of it and in this its no different to women, we all want to look and (more importantly) feel good. Different products have different qualities – I would always recommend engaging with your expert retailer who should help you find the right product and fit. I would be happy to help anyone looking for their ideal product and if I don’t think my offering is for you then I will try and point you in the right direction where I can. The amazing Anti-Cellulite Beauty tights offer a shaping benefit in addition to the energising compression and the ceramic crystals which give the cellulite busting effect. Whilst men don’t suffer from cellulite as much as women, one of the key benefits is the moisturizing effect on the legs and the improved circulation these tights promote – quite aside from the fact that they are extremely comfortable! The seamless tights are the most comfortable tights you will ever wear and with no seams in the body and a super wide waistband, there is no “cutting in” at the waist or between the legs (something I know can create discomfort for men and women alike). Are you thinking about stocking any tights specifically made for men, such as the Adrian, Glamory and Activskin brands? At the moment I’m just testing the concept of subscriptions for hosiery products, but it was in my early brain storming to look for the right product for the many different lovers of hosiery from different sizes and frames right through to school tights – men were definitely a next step consideration – this is the beginning of the journey for me. How can readers find more about Divine Legs? Check us out at www.divinelegs.com and send feedback and comments to us at hello@divinelegs.com.